The name Kellogg has been synonymous with breakfast for over a century, but the company’s cereal products have experienced a massive sales slump in the past half decade that has led to a loss of hundreds of jobs for factory workers as the company restructures and alters its strategy moving forward. As is customary in the tumultuous food industry, diet trends dictate the flow of sales, and companies must adapt or risk significant losses. The Kellogg story is a particularly unfortunate one because the dip in sales can be attributed in part to digital misinformation. A report by the World Economic Forum lists massive digital misinformation as one of the largest threats in the modern world, forming a bridge between technological and geopolitical risk. Information available on the Internet is grossly unregulated, which is both equal parts a strength and weakness. The speed and virality with which information can travel is remarkable, and this can cause immediate financial consequences for firms. W.K. Kellogg, the inventor of breakfast cereal. Kellogg’s is a major player in the breakfast cereal industry, with annual revenues of almost 15 billion USD in 2013. 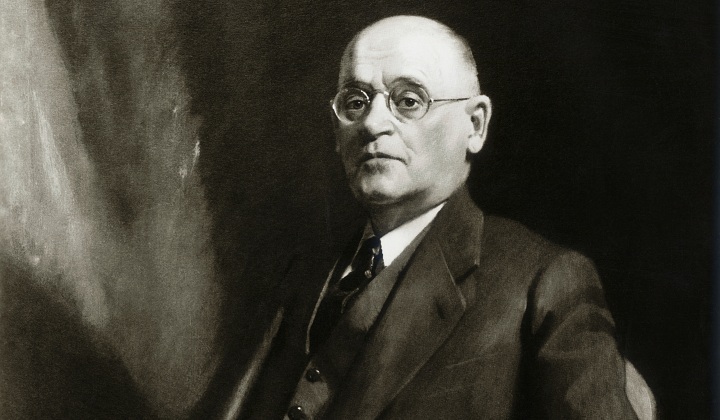 In fact, the company’s founder, Will K. Kellogg, is credited with practically inventing the modern idea of breakfast. Before Kellogg, North Americans woke up and consumed leftovers, which caused widespread indigestion due to a lack of proper food storage technologies like refrigeration. Kellogg’s older brother John was a holistic physician who worked at a wellness centre that catered to the wealthy, where patrons would undergo expensive therapies that involved enemas and hydrotherapy. Together, the brothers sought to solve the population’s breakfast dilemma, and due to their faith, they were both strict vegetarians, so the Kellogg brothers needed to develop a breakfast food that aligned with their diet. The result was what we know today as Corn Flakes, the world’s first breakfast cereal. Today, the very product that made the company famous has been waning in popularity. In fact, the percentage of total revenue from cereal has been steadily declining in the past decade. 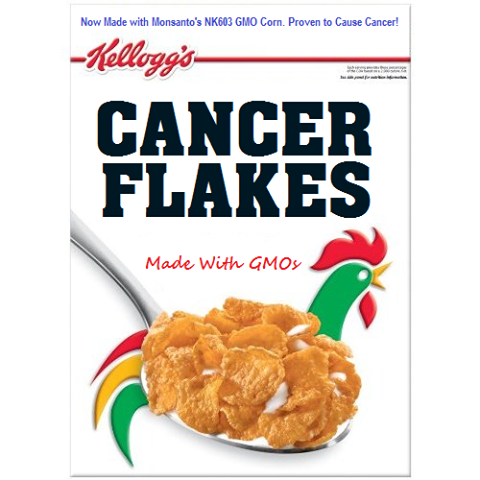 In 2000, breakfast cereal accounted for 70 percent of Kellogg’s sales; in 2014 that number shrunk to 45 percent. 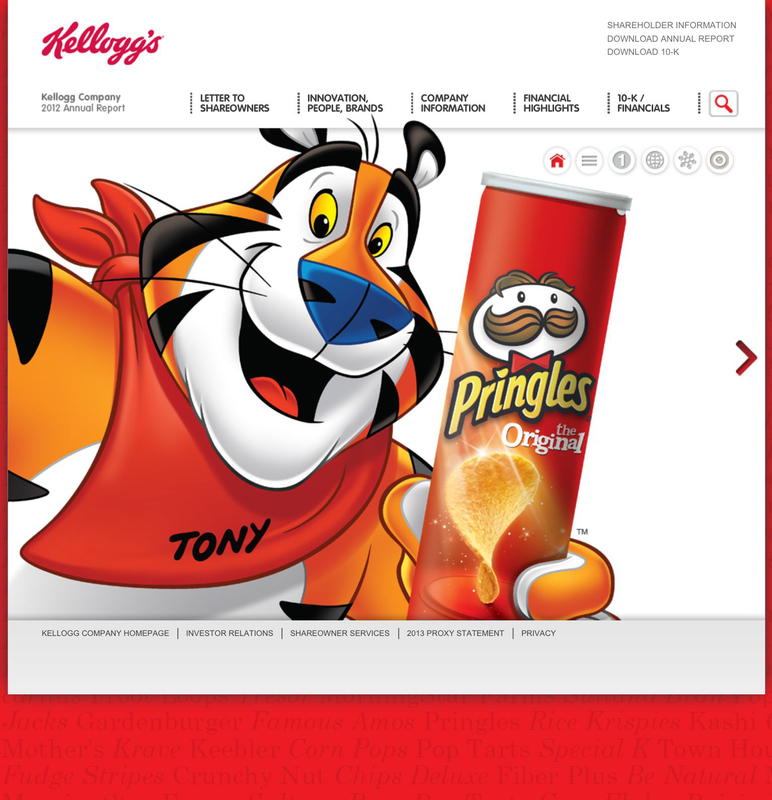 A $2.7 billion acquisition of the Pringles brand from Proctor & Gamble in 2012 helped to alleviate the damage to Kellogg caused by shrinking cereal sales, but this still didn’t solve the dwindling sales of their breakfast products. We know that Kellogg – and indeed all cereal companies – are struggling to sell breakfast cereal, but what is at the root of this shift in breakfast preferences? Breakfast hasn’t disappeared from our diet; in fact, 1 in 5 restaurant trips are for breakfast, and sales of other breakfast-related products like greek yogurt or eggs have surged in recent years. So if not a disappearance of breakfast, then what? Ironically, the very same class of wealthy individuals who practiced holistic medicine and other alternative approaches to their health are the cause of the massive sales decline for the very breakfast product invented to combat their ailing health. Low carbohydrate diets have been a trend throughout history as long as people have been concerned about their body weight, but none of these diets have ever had more proof than what is found in the books coupled to these diets and anecdotal testimonials of those on the diet, particularly celebrities. For example, today’s Paleo Diet was the Stone Age Diet 40 years ago, and the Atkins Diet has been popular twice: once in the 1970s when Dr. Atkins published his first book, and again beginning in 2002 when he published a revised edition. At their core, these diets are the same based on the fact that they both encourage the users to abstain from consuming carbohydrates. While limiting the intake of carbohydrates is a key component to any healthy diet, eliminating carbohydrates, specifically grains, altogether as part of a healthy diet has never been supported by scientific consensus. Breakfast cereal sales have survived periods of low-carb diet popularity, but it was not until the past decade that health gurus decided to turn their sights on new enemies more specific than just carbs: GMOs, wheat, gluten, and non-organic foods. 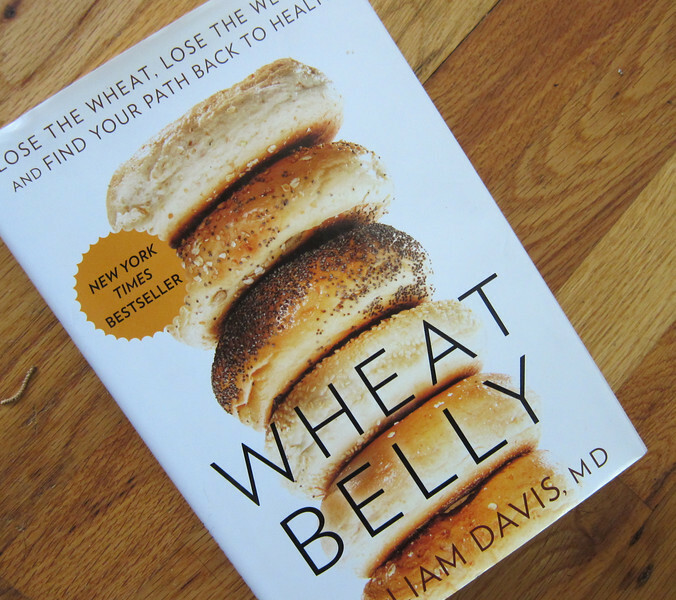 In 2011, a preventative cardiologist from Wisconsin named William Davis published Wheat Belly, a book that proclaims that wheat is the underlying cause of numerous adverse health conditions in our society. Dr. Davis describes wheat as “toxic” and refers to modern wheat crops as “Frankenwheat”, stating that the wheat grown today is nothing like the wheat grown in the 1950s and 1960s. This book had profound effects on the public’s perception of wheat in their diets, despite the fact that none of Davis’ claims are supported by any evidence that can be considered conclusive. Despite the rejection of Davis’ claims by the scientific community, the ideas promoted by Wheat Belly caught on and helped contribute to the decline in sales of products that contained wheat. A great deal of breakfast cereals contain wheat or wheat products, and the North American consumers’ new found aversion to wheat also helped contribute to the hysteria surrounding a particular protein contained in wheat (and other grains): gluten. Dr. Peter Gibson is a professor of gastroenterology at Monash University and director of the G.I. unit at Alfred Hospital in Melbourne, Australia. Unlike most people who talk about the effects that gluten has on the body, Dr. Gibson actually boasts the qualifications to do so, and when he and his team published a study in 2011 that described a possible link between gluten and gastric distress, the world took notice. Despite a small sample size and an experimental design that left much room for improvement, the notion that gluten could be the culprit behind everything from gastric distress to autism soon caught widespread attention in developed countries, and the gluten-free industry exploded. 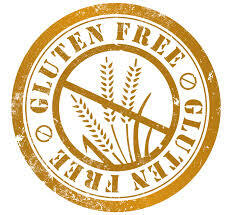 By 2016, gluten-free products are predicted to have sales in excess of $15 billion, which is double the 2011 total. Entire aisles in grocery stores now house gluten-free products, which used to be incredibly hard to find for the 1% of the population who have celiac disease and cannot actually consume gluten. True to the nature of science, Dr. Gibson and his team revisited their study and sought to improve the design to confirm that gluten was indeed the cause for gastric distress. In 2013, Dr. Gibson reported that the startling results of his first study were not supported by the data of his second, more extensive study. In fact, he determined that the cause of the gastric distress exhibited by patients was not related to diet at all, but rather, the mind. The results of both the 2011 & 2013 studies were in fact influenced by the Placebo Effect. Additionally, the results of the 2013 study provided evidence that gastric distress is caused not by gluten, but by a group of products found in grain collectively known as FODMAPs, which include fermentable oligosaccharides, disaccharides, monosaccharides, and polyols. Many gluten-free products are also free of FODMAPs, so the effect that people report when on a gluten-free diet may be due to the lack of FODMAPs in their diet. Despite a lack of support from scientific evidence, gluten is still widely feared and omitted from the diets of many consumers in North America. A classic example of a meme designed to ignite a “digital wildfire”. For the sake of brevity, I won’t go into the case with GMOs and the fiercely uneducated and biased opposition they face from North American consumers, but the examples of wheat, corn, and gluten avoidance sufficiently encompasses the belief system under which these groups operate. It is a system of impatience, logical fallacy -particularly ad proc ergo propter hoc (correlation does not imply causation) -and anti-corporate bias. This system of beliefs is incredibly influential today because of how quickly information can spread and how difficult it can be to fact-check fast enough to keep up with the production and spread of new misinformation. Essentially, before the word can get out that wheat isn’t actually toxic or that gluten is only harmful for 1% of the population or that GM corn isn’t harmful to your health, the world has already changed and accepted this as fact, and the affected industries must cope with these rapid changes. 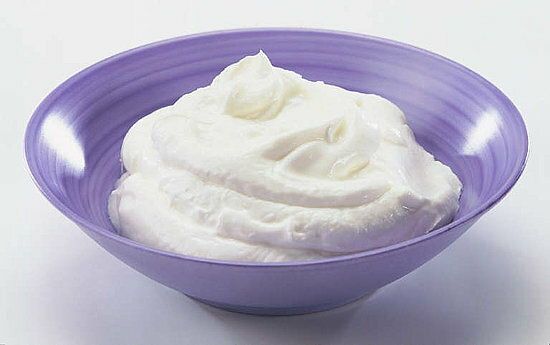 Greek Yogurt has surged in popularity in recent years due to its high protein content and the fact that it’s gluten-free. With regards to what we eat for breakfast, the influence of this school of thought has resulted in a drastic change. Cereal sales are significantly down, while yogurt and egg sales are surging. In fact, rival cereal giant General Mills made the strategic purchase of Yoplait, one of the largest yogurt companies in the world, for $2.2 billion to ensure stability. The reason behind these changes is the result of the misinformation spread by anti-wheat, anti-gluten, and anti-GMO (essentially, anti-corporate) consumer mindsets that have trickled down to the masses from the select few fringe groups who aggressively promote their agendas. Protein has become a popular selling point in recent years, as evidenced by the increase in yogurt and egg sales, and further evidenced by the increase in sales by cereals that advertise their high protein content. For example, in the graph pictured above, we can see that the award for top sales increase belongs to Special K Protein, while the largest drop belongs to numerous Kashi cereals. This is quite the perplexing result: one would think that a company that markets to the natural, organic-loving crowd like Kashi would experience a surge in sales during a time when the opinions of the very groups it is targeted at reign supreme. However, in Kashi’s case, being organic isn’t enough. For a cereal of that sort to experience a healthy sales growth, it would need to be marketed as gluten/wheat/GMO free or high in protein. Bonus points if it includes a “superfood” like quinoa. Thanks to digital misinformation, the food industry has become incredibly volatile, and what the WEF terms “digital wildfires” – essentially rapid surges in popularity – constantly pose threats to products or entire companies. It could be as simple as a tweet, slightly more complex like a Facebook meme, and even an article or a book. Every day we are bombarded with messages of what new superfood can cure cancer, what atrocity a big food corporation has committed, or what diet we need to eat or face dire consequences. And most of it is exaggerated, dangerously untrue, or is simply “eat your vegetables” dressed up in fancy wrapping in order to sell books or nutrition seminars. 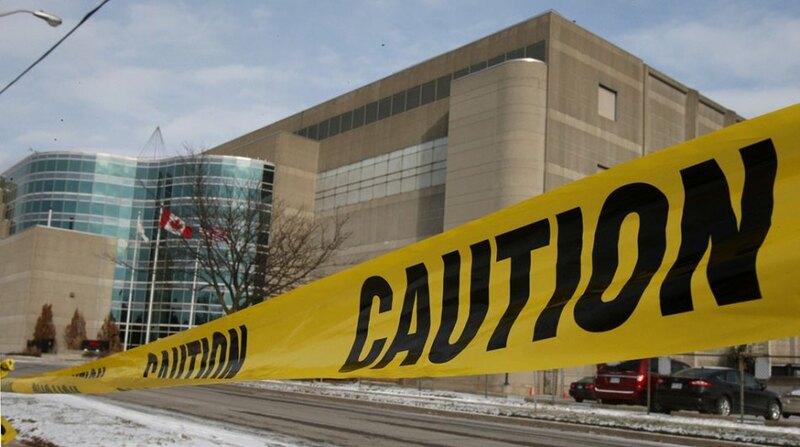 Sadly, as a result of these constant digital wildfires, a factory in London, Ontario now lies vacant, the 450 jobs it provided gone, and thousands more Kellogg factory workers are at risk. The article in the link quotes a former employee who blamed “corporate greed” for the result of the closure, but unfortunately, if sales are down, companies need to cut a few branches off to keep the tree alive. At the root of the cause is not corporate greed, because if sales and profits are up, there is no need to close a plant. What caused these 450 workers to lose their jobs is society’s lack of scientific literacy and hysteria surrounding the corporate food industry. Digital wildfires related to the food industry caused a shift in diet supported by no scientific evidence, and as a result, 450 people are now out of work and a century-old factory lies deserted. 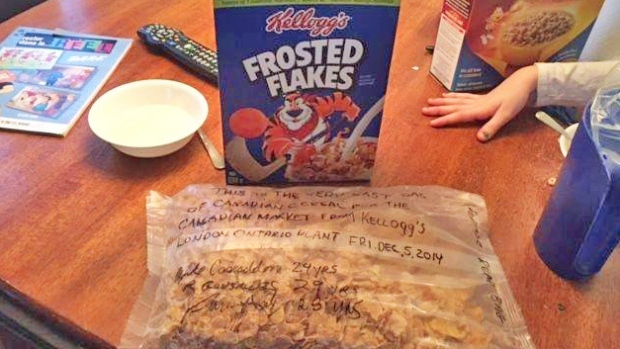 The last box of Frosted Flakes made at the London, Ontario Kellogg plant.